HSBC brought Bangladesh Film song legendary singers Runa Laila, Sabina Yasmin, Subir Nandi, Samina Chowdhury, Abdul Jabbar, Syed Abdul Hadi and Rumana Islam on a stage together at a Hotel in Dhaka on May 9, 2014. The program titled was “Din Jaye Kotha Thakey” : Bangla Chalachchitrer Harano Diner Sonali Sure and anchor were Afjal Hossain and Shampa Reza. A visual presentation was screened about the life and works of late Singer Bashir Ahmed and a minutes silence was observed in his memory. 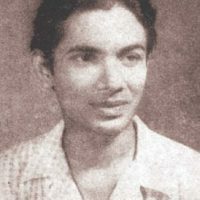 Bashir Ahmed was a popular singer of Bangladesh. 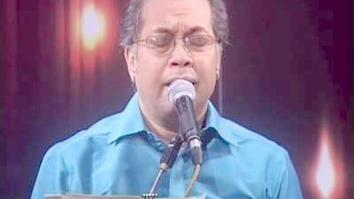 Subir nandi performed the title song “Din Jaye Katha Thake”. The song ‘Hajar Moner Kachhey Proshno Rekhe’ and ‘Bondhu Hotey Cheye Tomar’ were performed in respect to composer Md. Rafiquzzaman and Satya Saha respectively. Subir Nandi shared his memonries of Khan Atur Rahman. Khan Atur Rahman’s daughter Rumana Islam presented “Mayer Mato Apon Keho Nai’ and ‘Hairey Amar Mon Matano Desh” as a homage to her father. ‘Chokher Nojor Emni Koira’ and ‘Achhen Amar Moktar’ rendered by syed Abdul Hadi. These two songs penned and composed by Gazi Mazharul Anwar and Alauddin Ali respectivly. Alauddin Ali songs has different melody of folk and adhunik that gave a new direction to Bangla film song. Ashru Diya Lekha’ from Bangla film ‘Ashru Diye Lekha’; ‘Ei Mon Tomake dilam’ from ‘Manoshi’; ‘Shudhu Gan Geye Porichoy’ from Banglad film ‘Obujh Moon’; ‘Eki Sonar Aloy’ from Bangla film ‘Moner Moto Bou’ and the song ‘Ishray Shish diye’ from Bangla film ‘Bondini’. These all are hit songs from hit Bangla film for ever. Renown Singer of Bangladesh Abdul Jabbar perfromed his songs “Salam Salam Hajar Salam”, ” Shaare Shat Koti Manusher Aaj Ekti Nam Mujibor Mujibor Mujibor’ , ‘Ore Neel Doria’ from Bangla film ‘Sareng Bou’, Mon Rekhechi Ami from the Bangla film ‘Epar Opar’. Popular singer of Bangladesh Runa Laila performed “Gaan er i Khatar Swaralip Likhey’ which was her first recorded Bengali film song. Runa Laila prformed total 10 hit songs from Bangla films “Apon Bhai” ‘The Rain’, “Love in Shimla,” “Shilpi,” “Manoshi”, “Jadur Banshi,” and “Norom Gorom.”. Runa Laila rendered songs are “Barir Manush Koy”, “Ei Brishti Bheja Raat-e”, “Eka Eka Keno Bhalo Lagena,” “Shilpi Ami Tomader-i Gaan Shonabo” and “Bondhu Tindin”. 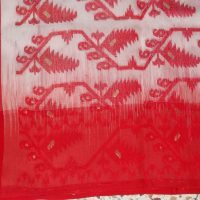 The Bangla film and Song got immense popularity in Bangladesh film industry. Bangladesh Singer Asif Akbar Naznin Mim rendered a song together for a new film of Shakib Khan. The film song recording already completed. Shakib and Bobby will lip-synching in this song on screen. Asif and Mim have completed more than 50 playback together in different Bangla film songs. This song was written by Sudip Kumar Deep and music by Ali Akram Shuvo. Singer Naznin Mim said this song will match with Shakib and Bobby lips on Screen. Asif said I am confident the song will be accepted by audiences. Bobby and Shakib Khan also popular Bangla film actress and actor in Bangladesh. Shakib Khan and Aup Biswas will give lips for the songs on screen. Raja Handsome is a romentic Bangla film shooted in Bangladesh and Europe.